Electronic ebook edition. 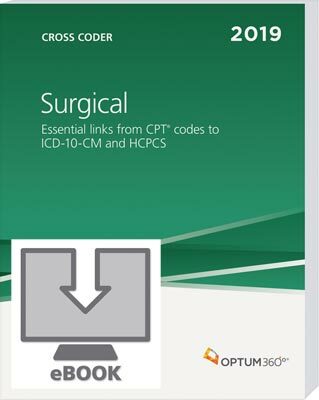 Properly link surgical CPT codes to appropriate ICD-10-CM and HCPCS Level II codes. Exclusive numerical organization of CPT codes, ICD-10-CM code icons indicate when additional codes are needed, along with clarifying illustrations and full code descriptions.